Testosterone replacement therapy is the latest big thing, and the pharmaceutical industry is reaping the rewards of its massive marketing campaign, convincing thousands of men that boosting their “T” level will make them stronger and more active. Unfortunately, the use of testosterone gels, patches and other methods have been linked to an increase in heart attack, stroke and death. If you have suffered a cardiac event after taking testosterone, you may be entitled to compensation for your injury. 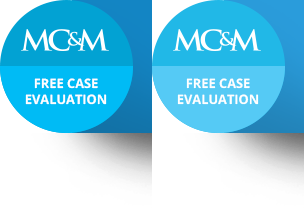 Contact Magaña, Cathcart & McCarthy to speak to an attorney experienced in dangerous drug litigation. Testosterone has been used for decades to treat a medical condition known as hypogonadism, where the body fails to produce normal amounts of testosterone. More recently, however, Testosterone Replacement Therapy, or Low T treatment, has been heavily marketed toward older men to boost their testosterone levels which naturally decline with age. Even younger men are being led to believe that taking testosterone can lead to benefits such as increased strength and enhanced sexual ability. The Los Angeles law firm of Magaña, Cathcart & McCarthy enjoys a national reputation for its skill and expertise in handling complex personal injury and wrongful death litigation, often involving multiple plaintiffs and defendants, in areas including aviation accidents and products liability litigation involving dangerous drugs or defective medical devices. The product liability attorneys at our firm have the knowledge, skill and resources necessary to take on the drug companies and make them pay for releasing dangerous drugs onto the market. If you or a loved one has suffered a heart attack, stroke or other cardiovascular event or injury during or after a course of testosterone treatment, contact Magaña, Cathcart & McCarthy for a no-cost consultation with a knowledgeable and experienced attorney.